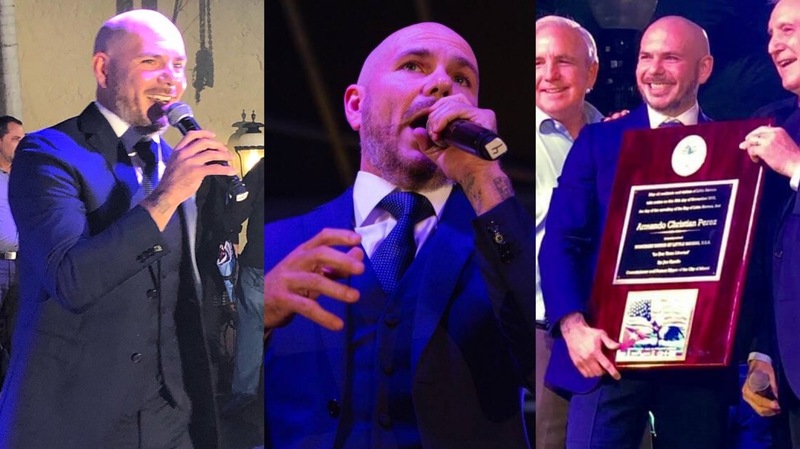 Mr. 305 made a special appearance at the inaugural “Viernes Pequena Habana”/”Little Havana Fridays” tonight, where he was named the Honorary Mayor of Little Havana, Miami! Pitbull jumped onstage at the event to speak in front of the large crowd in Domino Park, where he thanked the neighborhood of Little Havana, the city of Miami, his family of Cuban immigrants, and the crowd itself, shouting out all different nations and backgrounds. Take a look at photos and videos from the tonight’s event below!